Hey guys today’s blog post is just a catch up on videos as I haven’t posted any on here for a week or two. I also explain why I stopped making videos for June Lovin. Sometimes I forget to put a post up for my videos which is why I do combined posts like this haha. 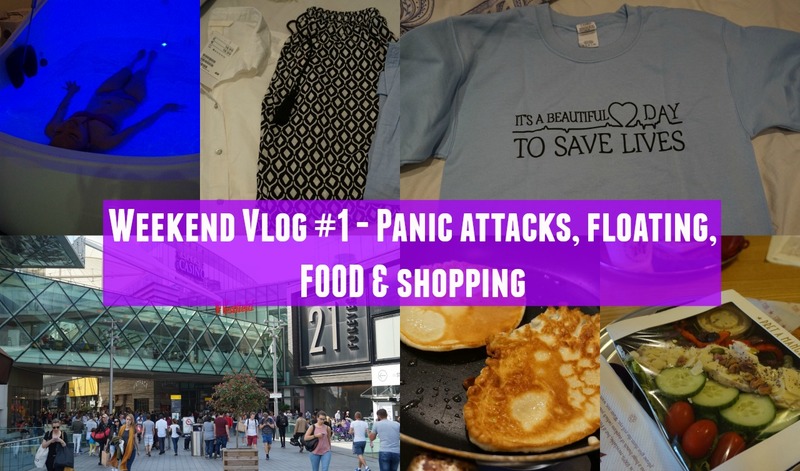 The first video I uploaded was my first Weekend vlog as I explained in the video it’s a new series I’m starting. As I work full time Monday-Friday my week days are really boring so I decided to only vlog my weekends but only sometimes. I think this will be really fun as I loved doing it last weekend and I usually have things planned for the weekend so that they’re not as boring. I was given the opportunity to try flotation for free in my vlog which I will be completely explaining about in my upcoming blog post this weekend. Keep an eye out for that. I’m not 100% if that makes my video & blog post an AD but I know in England now you have to declare if it is so I am going to anyways. There is no grand story I wish there was in a way but I have just become so busy with work that I didn’t have time to film anything. Most of my videos were pre-filmed on the weekends as during the week I’m too exhausted to film anything after work. However one weekend I was away and I completely forgot about it so the last few videos I couldn’t film. I think I only missed out on four videos which isn’t that bad considering I managed to get twelve up every other day. I’m still proud of myself as it was tough especially as I do work everyday so it wasn’t like I had lots of hours in the day to film etc…I will definitely do this sort of thing again but I know to be better prepared next time!! What was your favourite June Lovin video? "Review | The London Flotation Centre | AD"